It had a pretty wild ride as far as tech products go, but Pixable – the smart photo management app that got acquired by SingTel and pivoted into a youth-focused news site – is shutting down. VP of Editorial, Chris C. Anderson, says in a Medium post that the move follows an inability to raise additional funding due to unspecified “circumstances,” apparently unrelated to the performance of the site. “We achieved what we set out to do, even if the final result didn’t end up with us becoming the next BuzzFeed. We never wanted to be the next BuzzFeed. Anderson says that Pixable attracted a peak audience of 9.4 million monthly unique users in October 2015, with an impressive average time on site of 1 minute and 25 seconds. The site, aimed at the 18-34 age bracket, was monetized through sponsored content promoting the likes of Walmart, Sony, Etsy and Disney. Pixable was founded in 2009 and launched its Photofeed nearly five years ago, in January 2011, as a way of highlighting interesting photos from your Facebook friends. I first wrote about it 10 days after launch, when it boasted of already having attracted 100,000 users. After building out its featureset, it was acquired by Asian telco SingTel in September 2012 with the aim of expanding the app’s reach in emerging markets. At some point not too long after this, something happened that saw the New York-based company back out on its own. CEO Andy Volanakis (who took the top job after initially joining as COO in late 2013) wouldn’t elaborate on details when I spoke to him earlier this year, but he said there would be more to reveal at a later date. It’s clear that SingTel spun Pixable out in some form though, as it was engaged in what turned out to be a futile attempt to raise fresh funding. Media obsessives should peruse Anderson’s long Medium post for more detail about Pixable’s achievements as a content site. Meanwhile, we’re looking into what the circumstances were that led to the company ultimately shutting up shop, and what the relationship between Pixable and SingTel was at the end. UPDATE 3 DECEMBER 2015: A SingTel spokesperson tells us that Pixable wasn’t spun out as an independent company and has remained a subsidiary since its acquisition. However, it had been searching for external funding. 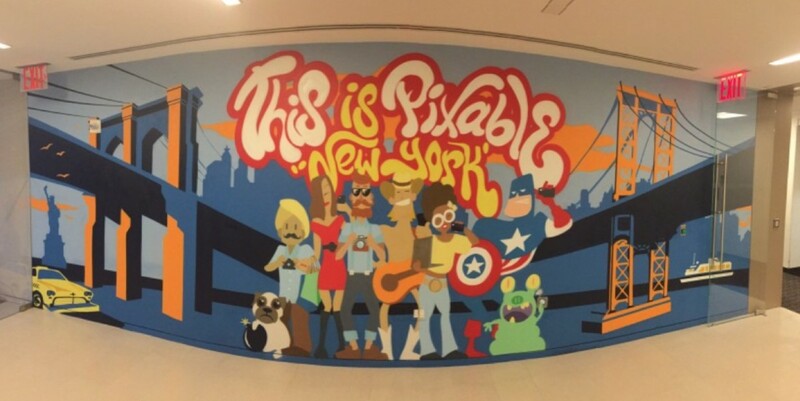 “Since our acquisition of Pixable in 2012, Pixable pivoted from an app-focused social photo aggregation tool to the content marketing space, shifting away from our digital strategy. As such, we’ve worked with Pixable’s management, over the last 6 months, to seek buyers or investors for the company. Unfortunately, the process hasn’t been successful and we’ve decided to exit the business. The fact that Pixable itself didn’t clarify its ongoing relationship with SingTel at an earlier date is odd. Members of staff at Pixable continue to be silent on the closure beyond Anderson’s blog post.